Regret is powerful. What was once a beautiful feeling can become a what-was-I-thinking moment given a bit of time (and sometimes, the liver's oxidation of alcohol). Sometimes you just grow up. What car do you regret lusting after? Most definitely. No question. Yes, 1981 Camaro. How close could GM get its horsepower to zero before it would have to stop calling this a Camaro? The company almost found out. 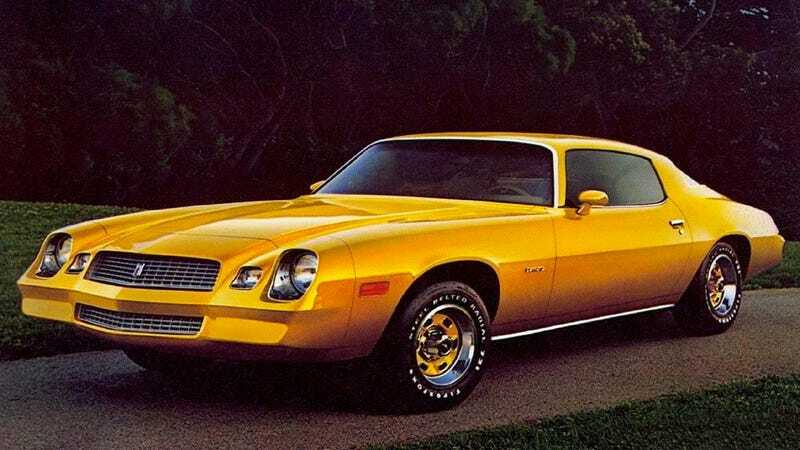 My Camaro lust never made it to the next generation, but during the early 1980s, I still had one of these on my wall. I also had Coleco football, which could take the base '81 Camaro in the quarter-mile.